This weekend sees the third of the 2018 season European Cup races and the second of the 2018 Junior European Cups. 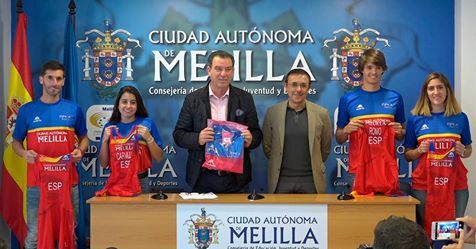 The location is Melilla and the competition will be hot, even if the weather there is a little subdued. The location of this Federación Española de Triatlón event is one that has fascinated us from the very start; located on the African continent and full of history, this small piece of Spain has hosted an international triathlon since 2015. Last year the event was selected to be the venue for the ETU Ranking Series Cup Final and we were treated to thrilling races from start to finish.The city welcomed the athletes and, with their own open race taking place on the same course, the legacy of triathlon has been firmly established there. Coming back to its early-season date, the Juniors will race in the morning and the Elite in the afternoon. With the sun rising just before 08:00 and not setting until just before 21:00, the window of opportunity is good for the organisers who will be delighted to see that athletes are now seeing this race as a real “must do” event. 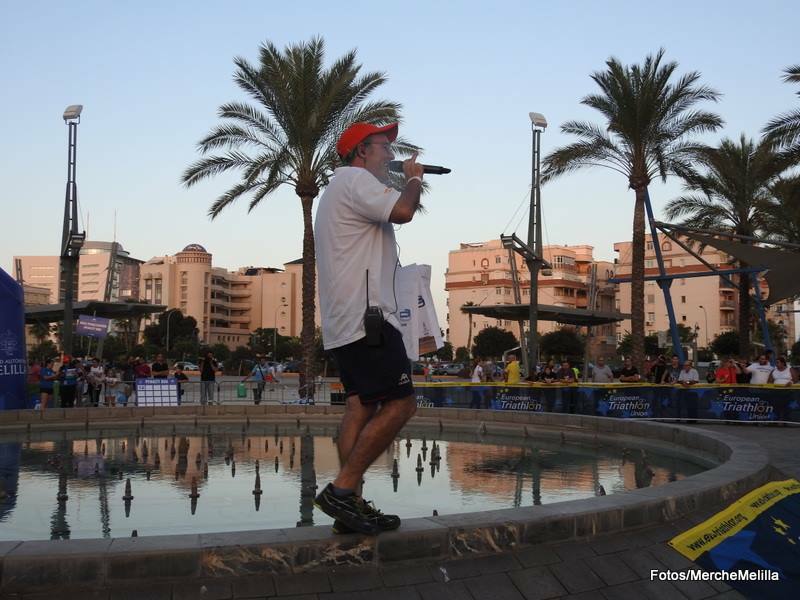 The crowds last year were marvellous and, from start to finish, animated by Spain’s principal triathlon speaker, Angel. 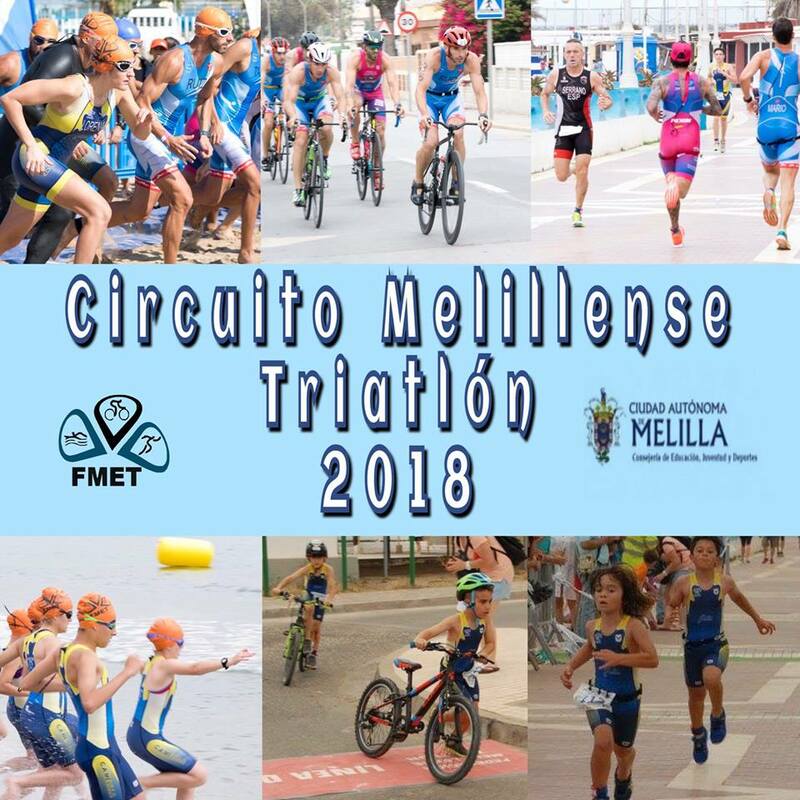 With the support of the city fully behind the LOC, 2018 and beyond looks good for triathlon and for Melilla. Click this photo for the press conference with Jose Hidalgo, president of the Federación Española de Triatlón and with Antonio Miranda, Head of the Ministry of Education, Youth and Sports. So, who will be racing this weekend? Amongst the juniors we have some previous winners who will be trying to not only get that podium place once more but also to collect points for their national federations. For the Junior Women, we see athletes from Belgium, Hungary, Israel, Italy, the Netherlands, Turkey and the host nation, Spain. Leading them out onto the beach start and wearing #1, will be Quinty Schoens NED. 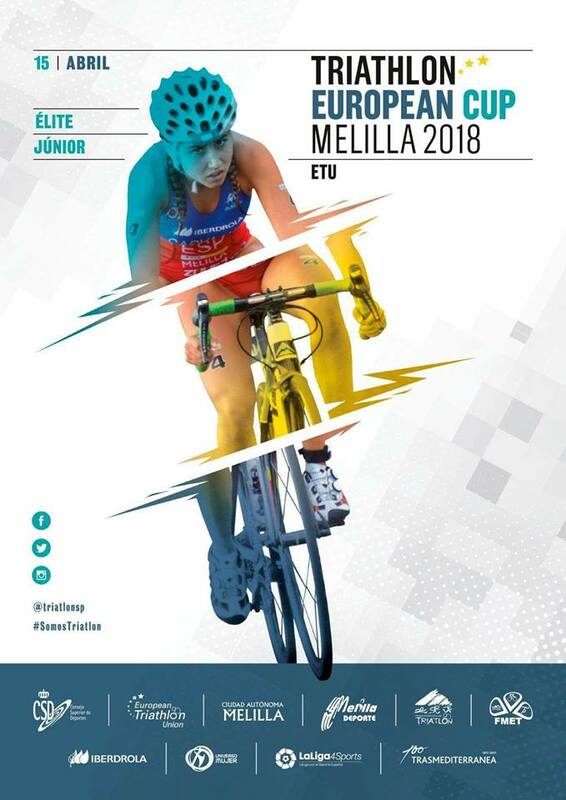 She has been racing amongst the Elite women over the sprint distance and her experience will put her in a good position in Melilla but she will be racing against Italy’s Carlotta Missaglia who won here back in 2016, missed out with a 4th here last year but has come back in form with a bronze a couple of weeks ago in Quarteira, despite posting the second fastest run of the day there. She will have teammate and 2017 silver medal winner Beatrice Mallozzi racing with her. Mallozzi’s run power impressed many last year and her 2nd place at the National Championships, with a powerful bike performance, was beaten only by the much older and experienced Annamaria Mazzetti. On that form alone, Mallozzi is in with a real chance, especially as last year’s winner, Theresa Feuersinger is absent. Hungary sends Fanni Soós who showed power off-road last year with her bronze on Târgu Mureș. For the full start list, please click here. Amongst the men, we have athletes from Belgium, Hungary, Israel, Italy, Poland, Romania, Turkey and of course, from Spain. Leading the Junior Men onto the beach will be Israel’s Yoav Avigdor. A top-ten finish in Kitzbühel last year and a tough race in Rotterdam and perhaps a podium in Melilla. But he will race against Spain’s Carlos Oliver Vives who came 4th last year. 11th in Quarteira, he will be cheered on by the local crowds and with his running now a little more fine-tuned, he will be hoping for at least a top five finish. Italy will be watching the performance of Davide Ingrilli with interest. 14th here last year, he went on to take Junior Silver in Cheile Grădiştei in the Winter Triathlon World Championships and followed that up with a great race in Quarteira that gave him 7th place. He edged out Spain’s Sergio Baxter Cabrera in that race but Baxter’s better performance here last year will make this little battle an interesting one to follow. 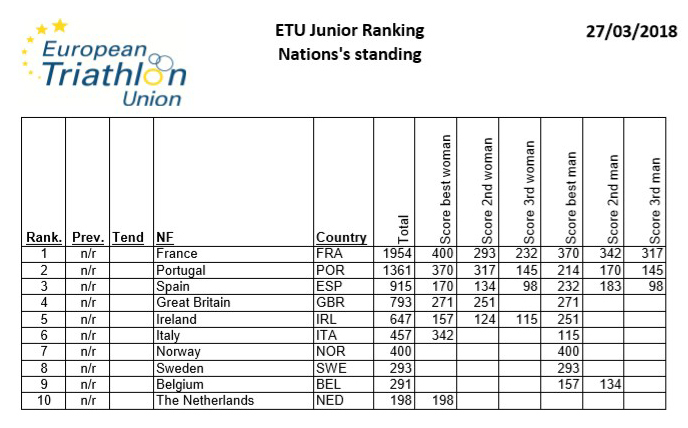 With one race completed so far, this is how the Junior Nation Rankings stand. With the big Spanish team present this weekend, we can expect to see them move up the rankings. For those of you who followed the race last year, you will notice that the bike course has changed a bit. Due to on-going roadworks, the LOC has now, with support from the local authorities, taken the race deeper into the heart of the city. The Elite Women start at 15:00hrs and will feature a 12-nation battle for points and the podium. Wearing #1 this year is Italy’s Verena Steinhauser. 3rd here in 2016, she is regularly to be seen racing the ITU World Cup series and, closing the season last year with a 5th in Tongyeong and a 6th in Miyazaki, after her 5th place last year in very tough conditions at the U23 Championships in Velence, Hungary, she really is one to watch. Silver in 2015 as a junior and runner up in the 2017 Altafulla ETU Triathlon European Cup and Mediterranean Championships, a top ten finish in Quarteira and with the home crowds behind her, watch out too for Ines Santiago ESP. With her strong swim and ability to ride hard with the best, comes the Netherland’s Kirsten Nuyes. She placed 10th here last year at the end of a long season but then went on to a superb 9th in Cape Town. Spain’s reigning national champion, Sara Perez Sala placed 4th here back in 2016 and will of course now be wanting to remind her teammates that she is the best. Cecilia Santamaria Surroca‘s 13th last year could have been better had she not crashed early on the bike. Her 8th and 10th in Gran Canaria and Quarteira show early season strength. With a Junior gold in 2015 and a Junior silver in 2016, she knows the course well. Moving up from the Junior Rankings comes last year’s bronze medal winner, Valentina Riasova. With a good swim and sensible positioning in a fast-moving bike pack, she can run well and might be seen in the top ten this weekend. Have a look at the Elite Women’s Rankings and see who is racing this weekend and who might be able to increase their position. 2018 will see the U23 athletes in with a great chance for end of season prize-money. 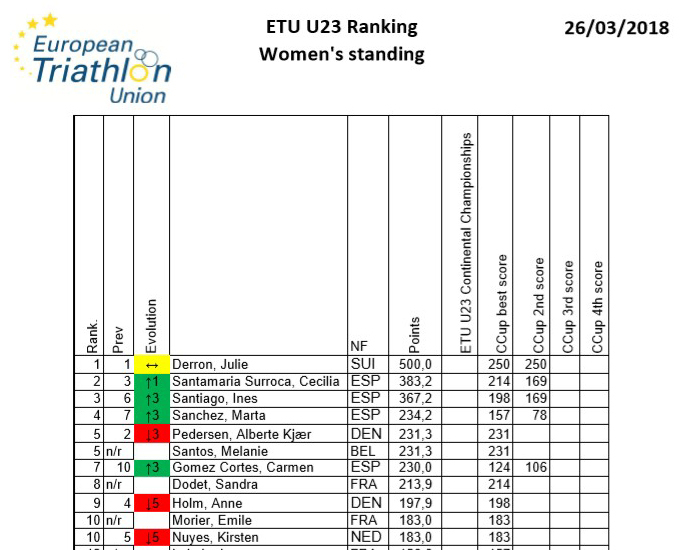 This is how the U23 Women’s Rankings stand after two events. The Elite Men’s start list presents us with a real challenge. 16 nations, 70 athletes and so many possible winners. It is no surprise that Uxío Abuín Ares is wearing #1. He was favourite here last year but in a desperately thrilling finish, he had to settle for 3rd but went away with the top pay-out from the ETU Rankings Series. This year has not started so well for him, with a crash in Gran Canaria and a disappointing race in Quarteira. We know his true potential and this weekend might be the chance for him, if everything goes well, to set the record straight for 2018. It will be a tough one though, as he faces some very good opposition. Amongst them, and very much in form, is his young teammate, Antonio Serrat Seoane. An 8th place in the Elite in Kitzbühel last year started a series of top ten and top five performances that suggest he is one to watch. A DNF here last year but a bronze in Weihai on the World Cup circuit and then bronze in Gran Canaria and a 4th in Quarteira will put pace into the race. A breakaway with him and Abuín together could create the break that is certainly needed to escape the blistering pace of the young Brit, Barclay Izzard. His victory in Gran Canaria ahead of world class athletes and his move up from the junior ranks, will bring a new edge to the race. The swim will be led by the likes of Mark Dévay who is likely to have Kevin Tarek Viñuela ESP, alongside him. The pair are great swimmers and can ride hard too. If Antonio Benito Lopez ESP can latch on to this group his pace over the final 10k could take him to the podium too. Another up and coming athlete to watch out is the young Italian, Sergiy Polikarpenko. Yes, the name is familiar and it looks like he might in fact be faster than his famous dad. Bronze last year in the Junior race, it will be an interesting test for him to race with the Elite this weekend. Have a look at the Elite Men’s Rankings and see who is racing this weekend and who might be able to increase their position. 2018 will see the U23 athletes in with a great chance for end of season prize-money. 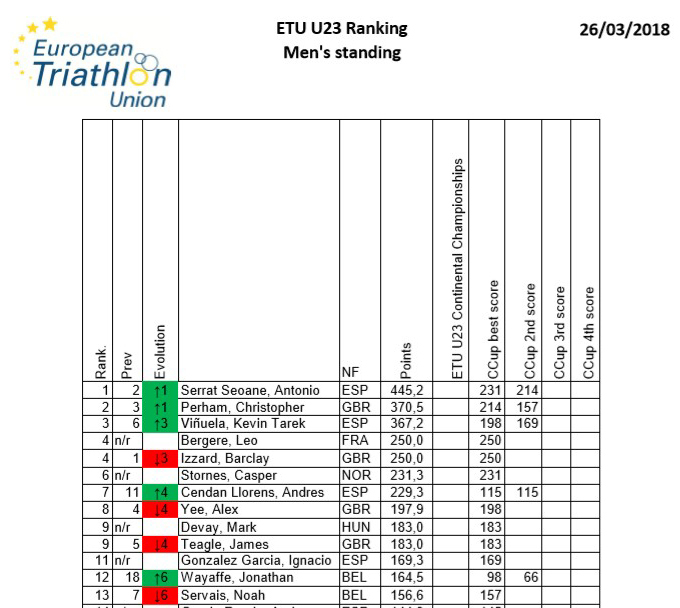 This is how the U23 Men’s Rankings stand after two events. For the full Athletes’ Guide, click this link. We understand that there will be a live feed and as soon as we get the links, they will be posted on this website and of course shared to ETU Facebook, ETU Twitter and ETU Instagram. It will also be Delyth’s last trip to Melilla in her support role for the Technical Delegate, Tom Roberts. 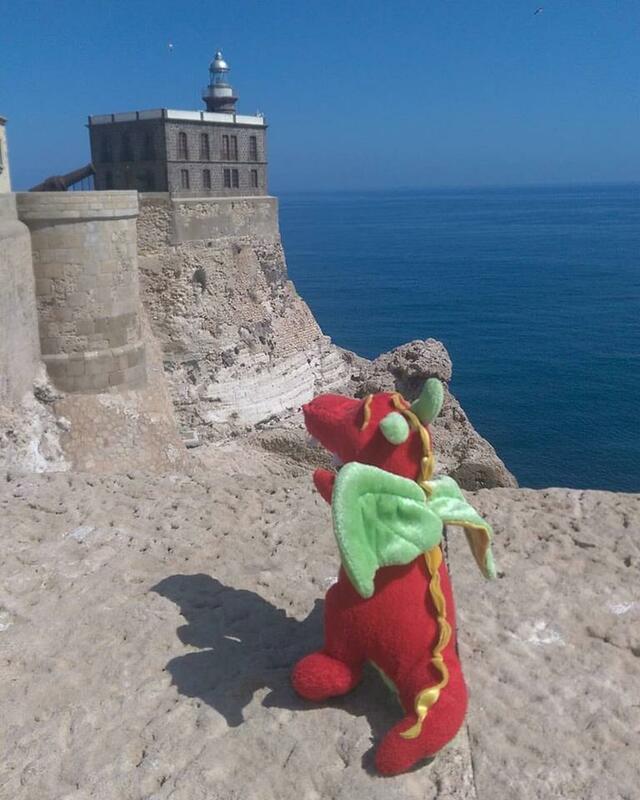 ETU would like to extend a vote of thanks to this enthusiastic little dragon and wish her every success in the future.